"Whom we preach, warning every man and teaching every man in all wisdom, that we may present every man perfect in Christ Jesus." (Colossians 1:28). 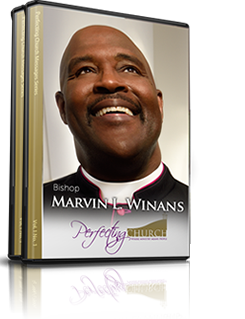 Pastor Marvin L. Winans is the founder and pastor of Perfecting Church, one of Detroit, Michigan's foremost congregations and a growing ministry family that extends far beyond its active local campus. Raised in a household of faith by his parents, David and Delores Winans, Pastor Winans received the Gospel message at an early age and preached his first sermon at the age of 18; the first-fruit of a ministry calling he accepted in 1970 during a 150-day revival led by Mother Estella Boyd, whom God used to lay hands on him and give him a vision for a future life in ministry. Since heeding the call, Pastor Winans' ministry has grown exponentially, from a humble gathering of eight in his own basement on May 28, 1989 to a membership of more than of 4,500 faithful who congregate weekly in Perfecting's expansive, 165,000 square foot site facility. With Colossians 1:28 and the principle, "Ministry Means People" as guiding posts, Pastor Winans has taken a holistic approach to the pastorate; following Christ's model of meeting humanity's needs prior to addressing their spiritual condition through the life-changing power of the Gospel. This approach has led to the creation of various outreach and educational programs, all under the umbrella of the Perfecting Community Development Corporation, including the Marvin L. Winans Academy of Performing Arts, the Perfecting Community Care Center, the Amelia Agnes Transitional Home for Women, and the Jenesta McCraw Youth Activity Center. Currently, plans are underway for the opening of a performing arts academy in St. Louis, Missouri. Serving as Bishop-Elect of Perfecting Fellowship International, Bishop-Elect Marvin L.Winans oversees a sisterhood of churches both stateside and abroad that encompasses congregations from various states including New York, Texas, Florida, Alabama, London and South Africa; all of which meet annually for church growth, leadership training, community outreach and convocations packed with teaching, preaching and worship. In addition to his ministry achievements, Pastor Winans is a multiple GRAMMY®, Stellar, and Dove winning recording artist, as well as one-fourth of the legendary gospel quartet, The Winans, with whom he recorded such beloved hits as "Tomorrow", "Ain't No Need to Worry" and "It's Time." His background in music has been put to good use at Perfecting Church, where his songs are sung weekly and have appeared in various recording projects featuring the church's praise band and choir, including the church's 2012's The Praise & Worship Experience, which Pastor Winans produced. 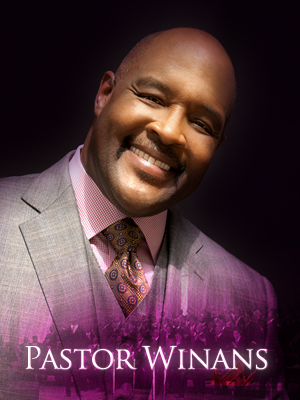 Of his milestones and legacy in ministry, Pastor Marvin L. Winans says, "I hope that as a church we've established a precedent that never changes even centuries after I'm gone; my prayer is that Perfecting would stand on the truth of the Word of God as revealed on Jesus Christ; upon this rock I will build my church."